Soldiers, sailors, marines, and airmen anxiously awaiting mail delivery is a familiar scene from movies, newsreels, and documentary photographs. Mail call is the moment when the frontline and home front connect. This exhibition tells the history of military mail from the American Revolution to 2010: How does this mail reach its destination? What roles does it play? Why does it influence morale? The exhibition explores the great lengths taken to set up and operate postal services under extraordinary circumstances. It also features letters that reveal the expressions, emotions, and events of the time. 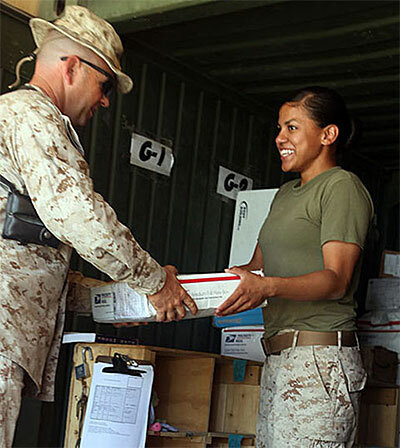 On the battlefront and at home, mail provides a vital communication link between military service personnel, their communities, and their loved ones.